ASCLS can help with your recertification needs! ASCLS and MediaLab are proud to offer the Certification Maintenance – 12 hour option (CM12). The CM12 is a one year subscription with MediaLab, Inc. that includes designated discipline hours required for the Board of Certification (BOC) Certification Maintenance Program (CMP). With the CM12, each person will receive 12 hours of P.A.C.E.® approved online continuing education to be completed at any time before the end of the subscription year (July 31st). The CM12 subscription year follows the same cycle as the ASCLS membership year. When you renew your ASCLS membership, renew or purchase your CM12 subscription too. Maintaining your required continuing education hours has never been so easy. This special offer is available to ASCLS members for only $45! Or, upgrade to access unlimited hours of CE and select the courses you want by subscribing to a Certification Maintenance Unlimited option (CMU). This one year subscription is available to ASCLS members for only $85. To view the menu of MediaLab’s online offerings, go to LabCE.com. Learn online – take your quiz online – enter & track your credit online at the ASCLS CE Organizer! 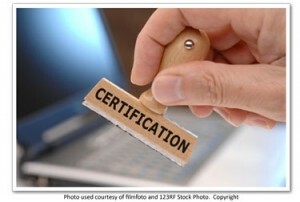 Renewing your professional certification has never been more convenient! Click here to either join or renew your ASCLS membership. You will receive an email with information to access the online CE courses at the MediaLab, Inc. website within 2 weeks of your member renewal or join date. You have until July 31, 2017 to complete courses in the CM12 or CMU subscription for the 2016-17 member year. After that time, the courses will no longer be available. Forgot to order your CM12 package when renewing/joining ASCLS? No worries. Visit www.asclsce.org to order your CM12 package available only to ASCLS members.